Fashion and lifestyle bloggers are a big deal in our industry. Since hitting the scene about a decade ago, they have become the voice of social media and influence their followers’ opinions. At Clairemont, we love tapping into the trendiest blogger circles in town and inviting them to check out our clients through fun and engaging events. One of the bloggers that our Clairemont team admires is Essense Heel, of EssenseHeel.com. I interviewed her to find out how she keeps her likes and engagement on Instagram high and her Snapchat stories viewed. 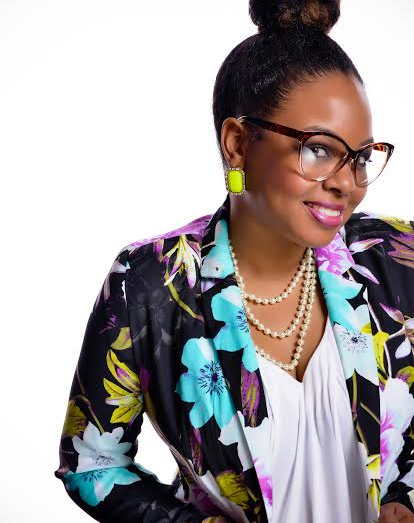 Essense is a fashion and style influencer from Raleigh, N.C. She received her training as a wardrobe stylist from celebrity stylist Shun Melson by successfully completing Fashun 101 in 2014. In addition to styling, Essense is a closet coach, blogger, socialite and brand ambassador. Essense is on “the list” and receives the most exclusive invites to all the fashion social events in N.C., which lead her to be co-founder of The Where to be Society. The overall purpose of my brand is to share my style expertise with personal styling tips and look book ideas for the different seasons. The fashion world is of course a greatly opinionated and diverse industry where self-expression is rife and there are tons of fashion rule books to swear by. However you get to tell the story of who you ARE through your own sense of fashion and style. No one can tell your story like you. I encourage my clients to be bold, be beautiful and be themselves. Which social channels do you use? My main social channels are Facebook, Pinterest and Instagram. I recently started using Snapchat to give my followers an inside look at my daily routine as a stylist and VIP events that I attend around North Carolina. The essence of Essense. My fashion posts are to inspire women to dress how they want to be addressed. I want women to believe that fashions fade, but style is eternal. I like to remain personal and humble. I want my followers to know that I believe in what I do, and to always keep in mind that looking good is not about the size on the tag, but more about dressing yourself in a way that makes you feel confident and shows off your best features. Want to learn more about our blogger friends? Read about our PDQ blogger campaign here!